Delirious? 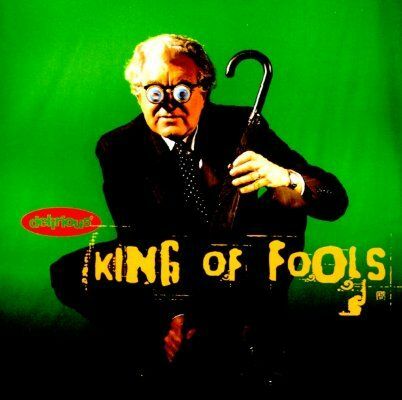 – King of Fools: So Naïve that it’s Wise. In Brief: For a fifteen-year-old album by an often-misunderstood “worship band” in a style that’s been done to death since then, King of Fools holds up surprisingly well. I was really optimistic at the end of 2008. It had been a tough year, but things appeared to be changing for the better. Still, I think I was more aware of a lot of the turmoil in the world around me than I had been before. I can sort of see a cycle in these songs that I picked back then, which starts out with hope – perhaps hope that was placed in imperfect humans who meant well but couldn’t fix everything we wanted them to fix all at once – and then it moves into a sequence of frustration, jadedness and cynicism, fear, conflict, war, and even death. Ultimately, with the arrival of the Christmas season, it comes right back around to hope again… but it’s tempered with a lot more grace and patience and wisdom than the first time around. The spring and late summer of 2008 saw me finally getting into a couple of bands that I’d been on the fence about for several years, but wasn’t quite in the right headspace to fully appreciate until they dropped new records that year. As I look back on the set of songs I chose for this particular soundtrack, I’m noticing a theme of wanting to fly away or escape from some sort of captivity in a handful of the songs on Disc One, while Disc Two dives deeper into disillusionment with hypocritical leaders, and with the “prosperity Gospel” I was still trying to shake of the last vestiges of as I was confronted by issues of poverty and marginalized groups that had been treated poorly by the Church. Heavy stuff, though I saved a few lighter songs of “romantic gratitude” for the end, just to conclude the set peacefully. There’s also a pair of songs about counting, and a number of songs that switch between 3/4 and 4/4 time, which was apparently a thing I was really into at the time.